Discussion in 'Child Custody & Visitation' started by EbbasMommy, Jul 17, 2018. Ok so, long story short, I had my child taken from me in April 2016. I have completed multiple service plans...I had a few slip ups (with pills but, absolutely no return yo prior behavior) so, they decided I had to go into Residential treatment. I went last Summer. There was drug use in the house, demeaning staff and the place was falling apart. I have a 244 page report from the Dept. Of Public health about the horrible conditions. Anyways, I had physical custody of my daughter for 3 weeks and then, I left. She went back to the prior foster home. I have not been allowed ANY visits at all since yhen. On the 24th it will have been a year since me AND her Grandparents have been allowed to see her. An unlicensed therapist that DCF hired to care for my 6 year old daughter says itd be too traumatic for us to see her. They filed a motion to suspend visits in October 2017 but the motion has never still even been heard in court. Is this legal??? I can't imagine it would be! I have almost a year sober and they have cut off ALL communication w/my daughter...no phone calls...no gifts..nothing. Is that really legal? Can they keep her from me that long without a court order??? If you wish to level the playing field to see your daughter you'll need to HIRE yourself a lawyer. That's my problem. I can't afford a lawyer. -And not being able to see my child, and my parents not being able to see her... It's cruel, really. My parents did nothing wrong. I had a problem but, I'm doing really well now and, still they won't budge. I just want to know if that's illegal in Massachusetts. If so, I will find someone to help me. Maybe someone will help me pro-bono. We'll see. You left - you didn't complete the requirement. 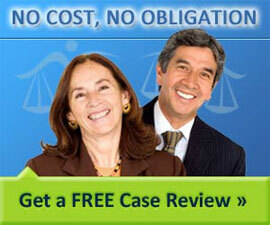 Anyway go find a lawyer who does free consultations to get a start on what to do. Can DCF revoke the right for bio parent and bio grandparents for the last 13 MONTHS - WITHOUT a court order? They filed a motion in October of last year and judge confirmed it was never ruled on. I need to know if this is legal. Revoke the right to do what? Information is missing here. Generally no, social services doesn't have authority to do much of anything without a court order unless there is some sort of emergency. You aree always free to say no to their demands/requests. If a request was made and never ruled on then I would venture to say that nobody has been deprived of any right to do anything. You still need a lawyer. Nothing said by strangers on a discussion forum will help you regain custody of your child. If the state officials won't listen to you they certainly won't be persuaded by the ramblings of strangers. You still need a lawyer to represent you, if you wish to be heard. Only a lawyer licensed in your state can opine about the legality of an event or occurrence that transpired in your state. Only a judge presiding over a trial in your state can adjudicate a dispute and apportion blame or fault. Can DCF revoke the right for bio parent and bio grandparents for the last 13 MONTHS - WITHOUT a court order? DCF can request a parent's rights be revoked, a trial would then ensue, and a judge would eventually rule on the matter. DCF has no authority to revoke a parent's rights. I'm sorry. I meant rights to visitation. My parents and I have done nothing wrong. The DCF supervisor said it would upset my daughter too much to see us. They haven't allowed pictures, letters, phone calls...nothing. Is it legal for them to do that without a court order?? Where is your daughter now and how long has she been there? What is the reason you were told that she was taken from your care? Were you given any documention at the time? Although you did not agree with what was happening did you go along with it anyway? 1. From day one, she was in a child-specific foster care...which is weird. She's been there for about a year. 3. I got the usual crap in the mail. Thats all. 4. I didn't have a choice. After they gave me coffee and pizza, I was fine. But, some DCF worker and 2 cops came in and took her out of my arms at the meeting, although I was fine. Even fine enough to gwe on the bus and go home. Worst bus ride ever. 5. I didn't sign my service plan bc I didn't agree with the "to-do list" they were shoving in my face. I did sign releases to show I was clean. They didn't care. It didn't impact the case.